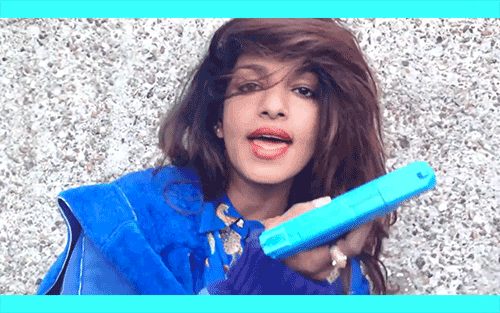 M.I.A seemed to have a bit of trouble getting her new video onto YouTube, with it being blocked by her label shortly after she uploaded it. But I'm glad to see that she's got round those earlier hassles, as with most M.I.A videos "Double Bubble Trouble" is a visual treat. There's alot going on from guns to flying peace signs it's here! "Double Bubble Trouble" is taken from M.I.A's latest album Matangi which is out now on iTunes.